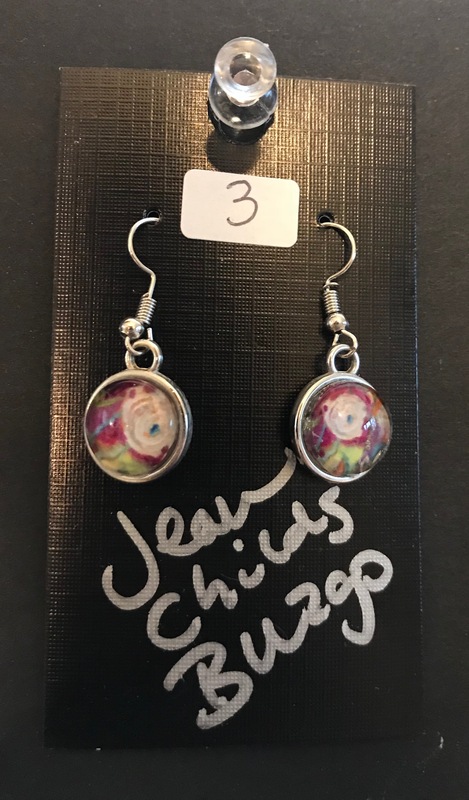 Every Necklace & Earring is Handmade by me and includes parts of my artwork, paints or palette. Almost all chains or cords on necklaces are 18" with 2" adjustable chain and lobster claw fastener. They are available for purchase on this site and shipping is $5 any where in the US.